THE cost and reliability of fuel supplies are critical to the competitiveness of any economy in the world. Fuel is one of Zambia’s largest import products. The fuel supply chain and pricing are sensitive subjects that cause a lot of anxiety among different economic agents. Fuel pricing and the cost of fuel is, thus, among the most contentious issues on which a lot of dissimilar views are aired. A section of the Zambian society has the view that our fuel costs are comparatively high, in the region and the world, largely due to in efficiencies in the way fuel is imported. The government-led procurement system is said to be very inefficient and protects the institutions involved from competition by setting high tariffs on finished products. This section of society argues that removing tariff protection and liberalising imports of finished products would reduce costs both by promoting competition and by allowing different regions to obtain supplies from the cheapest port. It would also eliminate the risk of nationwide shortages when the refinery has unplanned breakdowns. Another school of thought is that Zambia’s fuel costs are among the highest in the world because of high taxation and other unjustified costs both on the upstream and downstream side of the fuel supply value chain. from the refinery to the service station. Another section of society wishes that prices of fuel could remain within reach of all in the economy. The sentiments imply that Government must find means of cushioning consumers from the impact of the fuel price increases. This is because, any increase in the fuel prices will in turn trigger a rise in the cost of goods and services, a situation commonly referred to as inflation. Inflation would therefore add to the cost of doing business and could adversely affect the tourism, manufacturing, agriculture sectors among others. 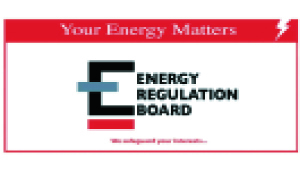 The purpose of this article is to specifically discuss how pricing of fuel in Zambia is conducted by the Energy Regulation Board (ERB). The objective is to allow the reader to understand the guiding principles that affect pricing so that any future price adjustments are clearly put into perspective and analysed objectively. Zambia’s average daily consumption in litres is as follows: Petrol (1,006,000 litres), Diesel (2,204,000 litres) and Kerosene (42,000 litres). Zambia does not have any known confirmed reserves of crude oil and therefore imports all its fuel requirements. The importation of crude oil is done in two modes: through the 1,706 km long TAZAMA Pipeline from the port of Dar-es-Salaam in Tanzania to Ndola for refining at INDENI Refinery Limited and; importation of finished petroleum products by road and/rail. The composition of the crude oil or petroleum feedstock that is imported is adapted to meet the configuration of the Refinery and is best suited to meet the requirements of the market. The Refinery is configured to process a spiked or commingled (partly processed) feedstock usually comprising pure crude oil, condensate, naphtha and gasoil (diesel). With regard to pricing, the ERB now uses the Cost Plus Model (CPM). Prior to this, in 1998, setting of prices was done through the Government owned Zambia National Oil Company (ZNOC). After 1998, ERB took over the pricing function and (in 1999) introduced price caps on petroleum products. This model of pricing was used until 2001 when Government liberalised pump prices. In 2004, ERB started using the Import Parity Pricing (IPP) model for pricing until 2008. The ERB migrated from IPP model because it required frequent changes to the prices of fuel on the market. entities and the general public. In response to this and in order to promote price stability on the market, in (year??? ), the ERB adopted the CPM for pricing of petroleum products. This is the model being used to date. The domestic prices of petroleum products are mainly affected by international oil prices and the exchange rate of the United States dollar to the Zambian Kwacha. Zambia imports a commingled feedstock consisting of crude oil, naphtha and diesel from the Middle East. oil is refined at INDENI Petroleum Refinery Limited and sold to oil marketing companies (OMCs) who transport it by road to the service stations. Any significant changes in the structure and conduct of these two factors will trigger a price adjustment. Since ERB price determination is driven by the principle of Cost Plus, it basically means that the final price of petroleum products should cover all the costs along the supply chain. In the case of Zambia, the costs that need to be covered are those on the upstream and downstream. such that we receive a new shipment every six weeks. However, in recommending price adjustments, ERB has set up a threshold of 2.5 per cent of the wholesale price, that is, for each cargo, if the required change in the wholesale price is more than 2.5 per cent then the ERB will recommend a price adjustment. However, if the required change in the wholesale price is less than 2.5 per cent, then no adjustment is made to the pump prices. In this case, the Government carries the burden of the cost that could have been passed on to the consumers. This is inherently a Government subsidy on fuel. The advantage inherent in this threshold system is that it helps to keep the prices stable and predictable, unlike in the IPP model which would allow prices to change almost on daily basis whenever the exchange rate or international oil prices change. CPM, the exchange rate and the international oil prices that are used hold until the cargo is exhausted, after about six weeks. passed on to consumers on cargo basis. The CPM takes into account the following elements in arriving at the wholesale price on the upstream: cost of petroleum feedstock; cost of freight from place of sale to Dar-es-Salaam (C&F); insurance; ocean losses; wharfage (harbour charges); financing charges; and collateral manager fees. Derived from the price buildup is the wholesale price to OMCs that is further expanded to get the pump prices at retail sites. On the downstream; the price build up to the retail level involves covering operational costs of Ndola Fuel Terminal (NFT); processing fees; taxation; OMC, transporters and retail dealer profit margins and some levies and fees such as the Strategic Reserve Fee (SRF). Of particular interest is the SRF which was created to contribute towards the development of the petroleum infrastructure, such as the new oil depots in Lusaka and Mpika, and price stabilisation in the country. The ERB is responsible for the collection of SRF fund from OMCs, while the Ministry of Mines, Energy and Water Development and Ministry of Finance provide oversight on its use. Figure 1 shows the movement of fuel prices in Zambia from 2000 to 2013.
priced more than diesel and kerosene. The pump prices of petrol, diesel and kerosene have remained stable since May 2010. Between this date and the 17th of April 2014, only one adjustment was made, that is on April 30, 2013, but this was mainly on account of removal of fuel subsidies as a Government policy and was not solely driven by change in the principle fundamentals, i.e. the exchange rate and international crude oil prices. With regard to the most recent fuel price increase, ERB announced the increment of fuel prices by an average of 8.3 per cent effective midnight April 17 2014. ERB increased the pump price of petroleum products by 7.22 per cent for petrol, 8.75 per cent for diesel and 9.54 per cent for kerosene, while wholesale prices were adjusted by 11.15 per cent. significantly from K5.40 at the last price review in April 2013 to a level of K6.20 to the US Dollar, that is, by 14.8 per cent cumulatively. This cumulative depreciation of the Kwacha against the US Dollar was therefore, the major trigger for this fuel price increase. The behaviour of the Kwacha around this period was partially as a result of a global phenomenon which had seen the US dollar gain significantly against other major currencies. the Federal Reserve Bank of the United States. On a positive note, in the recent past, the price of international oil prices has remained fairly stable and has averaged US$110 per barrel. Unless something unforeseen happens on the global supply side, the forecast is that these prices will hold for some time especially that new producers in oil such as Libya have now come back on the market. Of the two principle price determinants, the oil price has been less volatile. With regard to the recent adjustment in fuel prices, the Government had procured about 90,000 tonnes of feedstock at a cost about US$94 million. Using the Cost Plus principle, the required price adjustment in wholesale prices, in order to attain full cost recovery, was 11.15 per cent. 2.5 per cent. For this particular cargo, the associated loss was estimated at US$9.5 million (or K56.5 million) meaning that this is the “subsidy” that Government would have carried on this cargo if the cost was not passed on to consumers via a price increase. Without full cost recovery or losses on a feedstock cargo, the immediate implication is that in order to purchase the next oil tanker of feedstock, the Government would have to source more funds to add to the funds received from the sale of the previous cargo. order to avert further losses and provide for adequate financial resources to sustain the continued purchase and supply of petroleum products, it becomes necessary to review prices at the pump so as to attain full cost recovery. Suffice to state that, an economic rationale decision has to be made on whether to have guarantee of fuel at a sustainable and economic price or to have no fuel at all. ERB implemented Uniform Pump Pricing (UPP) in September 2010 following a Government policy directive. The UPP requires that fuel prices will be the same at all retails sites in the country. The UPP is managed through a transport cross subsidy mechanism. Oil marketing company’s (OMCs) or independent dealers delivering fuels to retail sites within the Copperbelt are required to remit transport differential for each liter of fuel into the UPP fund. OMCs or independent dealers delivering fuel to retail sites within the Copperbelt are required to remit the transport differential for each litre of fuel into the UPP fund. transport differential for each litre of fuel. Having the UPP in place has meant that the country now has the same price of fuel at all retail sites in country. The Government has established the UPP fund, administered by the ERB, to facilitate the cross-subsidisation of “rural” consumers by “urban” consumers. An independent UPP Managers has been engaged to verify the remittances and claims on the UPP fund. Figure Two shows a comparison of average pump prices of petrol, diesel and kerosene in United States dollars per litre in 2013. Different countries have different supply options (crude vs finished products), pricing regimes, levies and taxes structures, and policy instruments such as subsidies that account for the different prices. To draw plausible conclusions on how Zambian prices compared with others in the region, there is need for a thorough analysis of the structure and conduct of the different country specific petroleum supply and pricing regimes. The reasons why the pump prices of petrol, diesel and kerosene compare the way they do in Figure Two can be unearthed by analysing and comparing the fuel pricing mechanism and the pump price build ups for fuel in countries being compared, especially with regard to the nature of fuel supply system; price controls and price adjustment mechanisms. This article has put the fuel supply chain into perspective and has also established how fuel prices are determined and the rationale for price adjustments. It has also discussed how price adjustments assist to sustain the security of supply of petroleum products and also maintain the viability of the fuel supply chain players, on the upstream and downstream. Considering that the Government has to import and refine crude oil almost every six weeks on average, it is inevitable that practical steps are taken that guarantee continued purchase; importation and cost recovery. ERB has taken this critical step by developing a robust, objective, transparent and predictable fuel pricing mechanism.